Cape Breton Regional Police are investigating a suspicious fire at Chant's Funeral Home in Sydney. 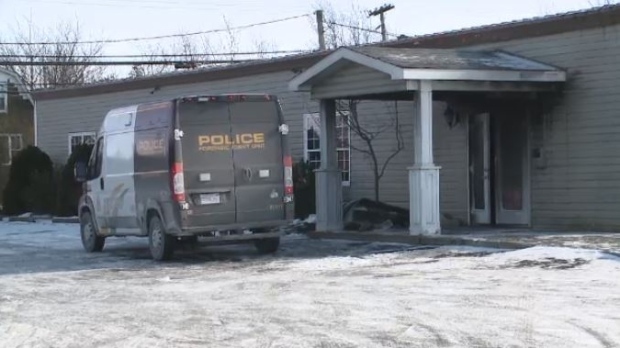 A Cape Breton funeral home has had its licence suspended as police continue to investigate a suspicious fire at the business. The fire started at Chant’s Funeral Home in Sydney Saturday evening, causing extensive damage to the building. The building was vacant and there were no remains or ashes inside the funeral home at the time of the fire. Service Nova Scotia says the funeral home’s licence has been suspended temporarily as it’s no longer suitable to operate the business, due to the damage caused by the fire. 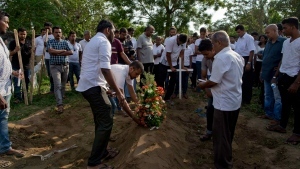 Chant’s Funeral Home isn’t permitted to offer or provide any merchandise or services while its licence is suspended. Service Nova Scotia says the suspension will remain in effect until repairs have been made and the business is able to operate. Cape Breton Regional Police say the fire is considered suspicious and they continue to investigate.